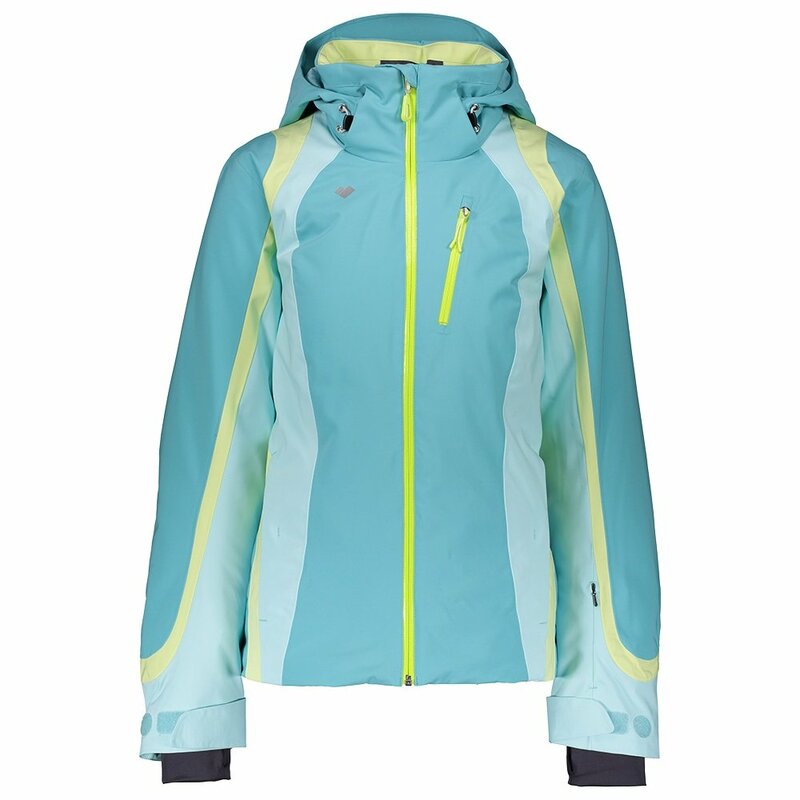 The Obermeyer Jette Insulated Ski Jacket is slope ready with 115g of Thermore® Classic FE Insulation and a 15K waterproof and 15K breathability rating that keeps it comfortable and practical in snowy conditions. The fully seam sealed ski jacket keeps the elements out and can even protect your belongings with YKK® AquaGuard® zippers. For skiers that go from lift to slope all day, the CZV™ ventilation system helps you cool down for all-day comfort. The Obermeyer Jette Insulated Ski Jacket also comes with quality creature comforts like a detachable scratch-free goggle cloth, articulated sleeves for improved mobility, and a removable hood, making it a quality choice for your next ski trip.